Producing cigarettes directly starting from the leaves of fresh tobacco or pre-cut tobacco. Possibility to label the bags or package with the trademark of the salesman’s name and/or other commercial names. Introducing promotional products into the bags (presents, festivity tickets, candies, condoms, etc.). Producing cigarillo imitations like cigarettes. When operated by a person who will be trained in a few hours only, this machine can produce 24 hrs a day and 7 days a week. Generating higher profit margins compared with cigarette products usually sold on the market. The potential buyers of these machines become their own producers and salesmen of cigarettes. They have great opportunities to start their own company. The installation in a restricted room. 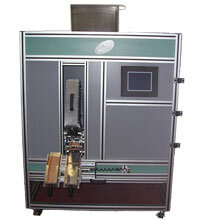 The dimension of the machine is only 30'' (762 mm) X 48'' (1,220 mm) X 62'' (1,575 mm) high. Other small spaces are required for the bagging and labelling machine (in option). The manufacturing of a fresher product of better quality. The new generation of producers to produce cigarettes with various flavours while mixing leaves of tobacco. The machines whose technology is Canadian are built in Montreal, Canada. 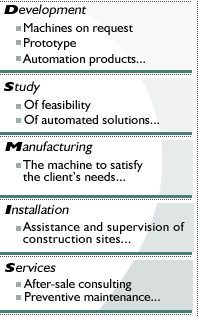 The guarantee of this equipment is complete and accompanied by a service contract. The distribution of these machines for agents or franchisees is to be negotiated.